During a press conference Tuesday, the CENTCOM commander, Gen. Joseph Votel, suggested that the Islamic Republic may reach a point of no return with its provocative actions, prompting an “international incident” that it will regret. I think the big concern here is miscalculation, that I’m very confident in the measures that our maritime forces are taking. They are measured, they are deliberate in the things that they are doing, but ultimately we are going to protect ourselves if that comes to a situation. So, I am concerned about…rogue [Iranian Revolutionary Guard Corps] force naval commanders who are operating in a provocative manner and are trying to test us. Because ultimately we will prevail here and I’m very, very confident of that and we certainly don’t want that to come to pass, and that’s why I call on them to act in a professional manner. His comments came a day after Fox News, citing Pentagon data obtained on condition of anonymity, reported that the number of dangerous clashes between Iranian ships and the U.S. Navy in the Persian Gulf have already reached 30 this year, surpassing all of the provocative confrontations that occurred in all of 2015. The confrontations nearly doubled in the first half of 2016 to 19 from the 10 that took place during the same period last year. Gen. Votel acknowledged that there has been an “uptick” in provocative clashes between the two countries, noting that the majority (about 90 percent) of the “unsafe, unprofessional activities” were carried out by navy vessels linked to the Iranian Revolutionary Guard Corps (IRGC). 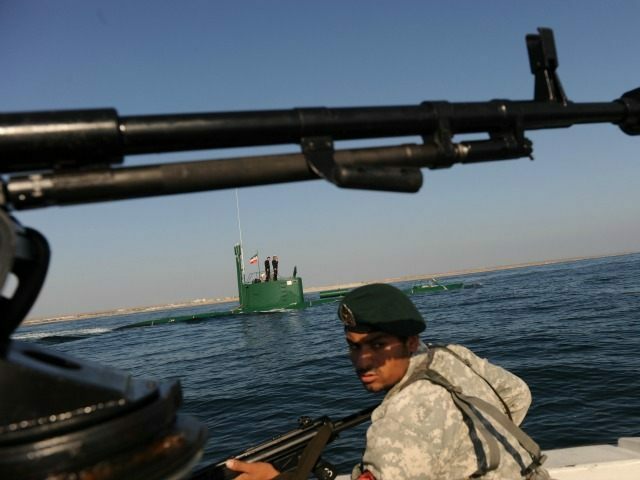 “They don’t come from the general Iranian navy; only a very, very small percentage of them do. So this is…not about the Iranian people. It’s about the Iranian regime and their desire to continue to do these types of things that stoke instability or attempt to stoke instability in the region,” explained the CENTCOM commander. In May, a commander of the IRGC Navy threatened to “drown” U.S. Navy vessels if they pose a threat to the Islamic Republic. A U.S. Navy patrol ship in the Persian Gulf was forced to fire warning shots at three IRGC vessels that approached the American patrol ships USS Squall and USS Tempest at high speeds last Wednesday, marking the second incident that week alone. Fox News found that there were a total of four encounters last week. The nuclear accord reached between Iran and five world powers led by Obama administration has done nothing to change Iran’s aggressive behavior, noted Gen. Votel. We haven’t seen a significant change in their [Iran] behavior, just as we’ve kind of been talking about here, with the [nuclear] agreement. So, to me, that remains a concern. And it remains something we’re going to have to continue to deal with in this part of the world and pay attention to. I cannot say enough about the professionalism of our naval forces. I was pleased to see how well they handled the situations [with Iran] that were presented to them. They remain measured in their response and they helped to keep a tense situation from escalating into an international incident. I was very, very proud of our sailors and their leaders.